Don't you just love the look of this card? The Hardwood background stamp just puts this card over the top for me. I seen the design over on Pinterest. I had to CASE it. 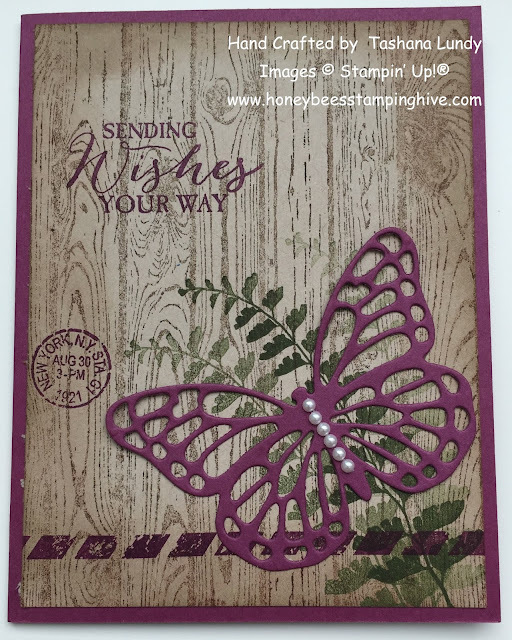 I used the Butterfly Basics stamp set with the Butterflies Thinlits, added a string of Pearls and WoWzErS!!! !